It’s been a while. We were hit with a particularly nasty virus, and we suffered it sequentially, so it took a good three weeks to clear the house. And another week or two to recover. But! I succeeded in encrypting my phone over the weekend. I had this on my list for locking down my private data, but put it off because it seemed daunting. At least, the email encryption was a task, and I wasn’t ready to tackle the next one. My phone is a mess. This seemed like a good time to start over. Back up your data. I use Google (which is another can of worms on the privacy front), but there is also an Android app you can use, which I believe James does. Go into Settings. Find Backup and Reset (under User and backup). Choose Factory data reset. If you are really paranoid, you can then load “dummy” data (photos and files), and wipe it again, repeat until you feel secure, so that your “real” data is hidden under layers of dummy data. I did not do this. When the phone starts up again, you can choose from a list of apps to reinstall, if you’d like. If you reinstall at this stage, your data will be reinstalled with them. Once you have everything (or nothing) restored, you can encrypt. I did find one site that recommended encrypting before wiping, so that anything that was left after the wipe would be unreadable to prying eyes. I didn’t do that. To encrypt, go into Settings. Under System, choose Security. Under Encryption, choose Encrypt Phone. Your phone has to be charged and plugged in to encrypt. The popups warn it will take an hour. With my newly wiped phone with several apps reinstalled, it took less than 20 minutes. Once that is done, go back to Settings –> Security –> Encryption and choose Encrypt SD Card. Again, it warns you this might take an hour. Mine was empty; it took about 30 seconds. Now that your phone and SD card are encrypted, you should probably set a password on your lock screen (Settings –> Lock screen) and choose secure start up (Settings –> Security). And that’s it. Super simple. The 2-year-old and I attended a rally in support of Planned Parenthood in Albany last weekend. It was my first rally (except for the prayer vigil in town a few weeks ago). I didn’t know what to expect. To be honest, I felt a little awkward. I never managed to meet up with my friends. The baby got a lot of attention, but I mostly didn’t know what to do with myself. So I just stood there and tried to take up space — not hard to do with a baby on your back — and make the crowd look bigger. I’m glad I went. I would go again. I’ve talked with a few different people about the phenomenon of large groups, and they have different rationales for their importance. One pointed out the impact of seeing a large number of people in one place for the same reason. Another talked about how the act of protesting changes the protesters. And everyone agreed on the need for sustained action. There has been a lot written about why liberal protests don’t work: they are just a catharsis. They make everyone feel better, and then everyone goes home and goes about their daily lives. Detractors point to the Occupy Wall Street Movement as an example of liberal failure. I’m not sure it’s fair to characterize that movement as a failure, when we had a candidate like Bernie Sanders bringing so much national attention to many of the issues on their platform. And there have been other protests that have brought real change: Selma, Stonewall, a huge number of protests against the Vietnam War. The problem is that change comes slowly. Protests help to make the problems visible to those not directly affected. I keep meaning to write about my top three causes, where I want to put my energy over the next several years, and I keep getting distracted by the barrage of bad news, by how many things need attention. But women’s rights, specifically women’s reproductive rights, has always been one of my causes. It was probably my first cause. So it seems fitting that this was my first big rally. I had a new-to-me experience today: Today I felt fear as a persecuted minority. It is surreal to me to write that. I am a white, middle-class, Christian, straight, cis, property-owning, American-born woman. I’ve experience misogyny, sure. But I have never felt persecuted. I have the luxury of living an unexamined life if I so choose. But today, I sat as fear washed over me. I did not feel safe. Russian President Vladimir Putin has signed off on a controversial law decriminalizing domestic violence as long as it does not happen more than once a year. The new law makes the first offense of violence against “close persons” such as relatives or children an administrative offense, punishable by a 30,000 ruble fine ($500) or arrest for 15 days. I drive by the Women’s Support Services office on a regular basis on my way into work. I used to volunteer for the 24-hour domestic violence hotline. I’ve heard the stories of women, in their own voices, late at night. I learned about Tracey Thurman, who, in 1984, successfully sued the Torrington, CT police (a town about a 30-minute drive from my house; I went there this week to have my teeth cleaned) for violating her civil rights for ignoring her reports of the harm her husband continually inflicted on her. I remember the work WSS did to advocate for a state statute to make strangulation a felony. The statute was enacted in 2008. I know that Russia is not the United States. Not yet, anyway. And I know that there are plenty of countries in which women have a particularly hard time (oh wait! The United States is on that list!). Given the role Russia has played recently in our news cycles, and given our new president’s professed fondness for Putin, this hit close to home. The second was the Republican Senators’ vote to silence Sen. Elizabeth Warren during the debate on the nomination of Jeff Sessions to the position of attorney general. Sen. Warren was reading a letter written by Corretta Scott King, the widow of the Rev. Dr. Martin Luther King Jr., opposing the nomination of Jeff Session to a federal judgeship in 1986. I regret that a long-standing commitment prevents me from appearing in person to testify against this nominee. However, I have attached a copy of my statement opposing Mr. Sessions’ confirmation and I request that my statement as well as this letter be made a part of the hearing record. After the Republicans voted to silence Sen. Warren, Sen. Tom Udall of New Mexico read King’s letter into the record. No one objected. I feel that efforts are being made in diverse arenas to silence the voices of women. I plan to attend a rally in Albany, NY, to support Planned Parenthood on Saturday. And I plan to keep writing. I had the misfortune to read the remarks made by the current president at a luncheon in honor of Black History Month today. In an attempt to scrub them from my brain, I thought I would share some information about Frances Ellen Watkins Harper, a 19th-century African American writer. I wrote a chapter of my thesis for my master’s degree on her serialized novel, Trial and Triumph (1888-1889), so I hope you will indulge me quoting myself at times. 1 Maryemma Graham, “Frances Ellen Watkins Harper,” Dictionary of Literary Biography Vol. 50: African American Writers before the Harlem Renaissance Ed. Trudier Harris, (Detroit: Gale Research Company, 1986) 164-173. Foster’s novel, Iola Leroy (1892), falls in the tragic mulatto genre: Iola, a mixed-race young woman, born free, who could “pass” as white, is sold into slavery after the death of her white father. Iola Leroy was one of the earliest novels written by an African American. I chose the shorter, and earlier, Trial and Triumph for my study because the protagonist, a young African American woman named Annette, has aspirations of becoming a poet. I was interested in how 19th century women writers portrayed themselves — women writers — in their fiction. In Trial and Triumph, Harper has her young poetess turn away from her writing to pursue “race work.” Readers in the 19th century expected their literature not only to entertain, but also to uplift. There was supposed to be a moral purpose to the story. Harper embraced this trope and turned it to her purpose, using her writing to inspire pride, hope, and self-respect in her audience. Noting that “The literature they read was mostly from the hands of white men who would paint them in any colors which suited their prejudices or predilections” (240), Harper shows her reading audience the importance of the text they hold—written by a black woman, a member of the traditionally voiceless—to the battle for social equality. By authoring their own texts, African Americans have the opportunity to shape the images displayed in popular culture. Trial and Triumph is such an interesting text, for its blending of genre, for its African-izing of the common stereotypes of white women, and for its unflinchingly optimistic portrayal of the prospects of Black America. Harper creates the character of Annette, who is both a poet and an activist, in part to argue that a race capable of contributing to the cultural tradition of its nation surely has the intellect to contribute to that nation’s political processes. Literature is concerned with the nature and state of humanity. It addresses moral, philosophical and political questions of human experience and examines the phenomenon of society. Harper’s work stands as testament to the humanity of her race and thus argues for the inclusion of African Americans, including African American women, in the political life of America. I had intended to write tonight about what I’ve settled on as my top three causes. I was going to talk about how hard it is to face this onslaught of bad news on a minute-by-minute basis, and how I had to narrow my focus, and that even three might be too many. 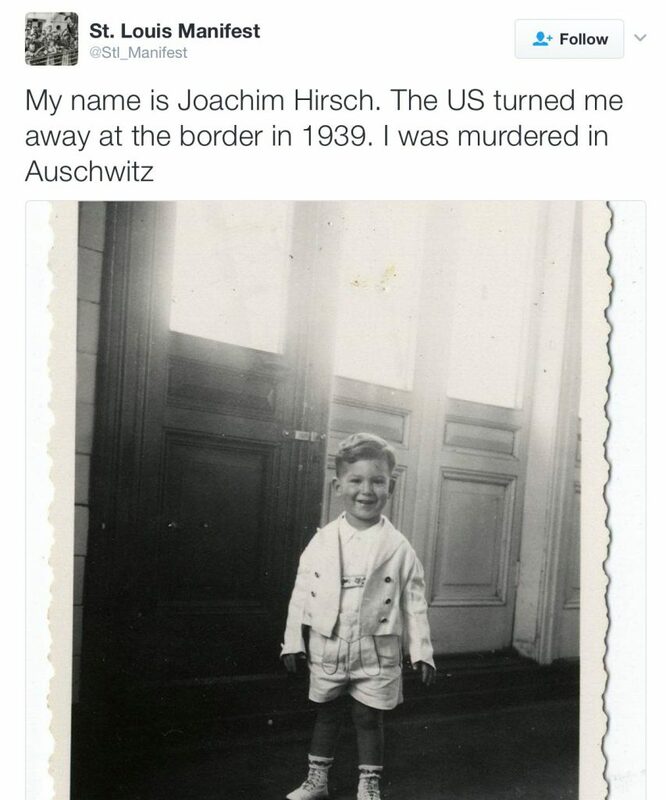 And then Trump banned Muslims. 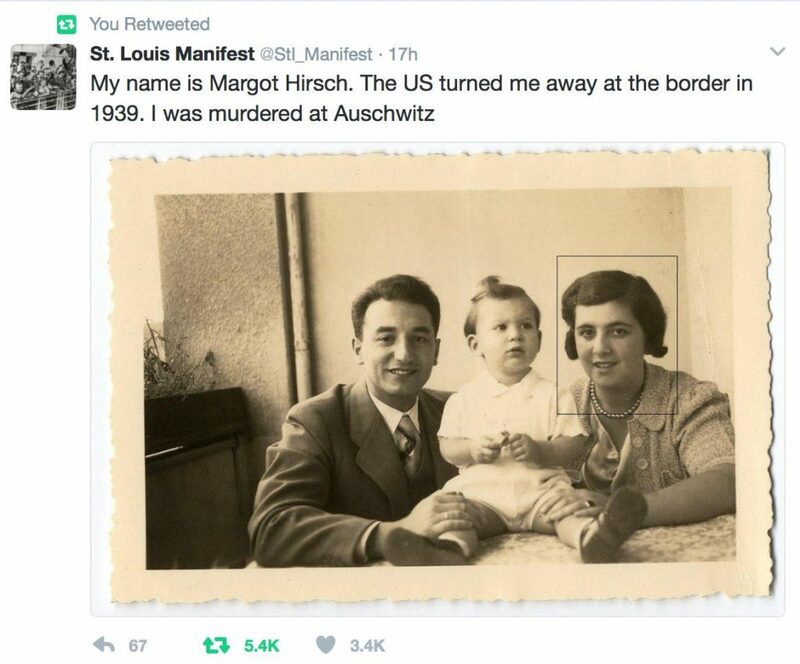 On National Holocaust Remembrance Day. My social media feeds are overflowing with protestations. I’m seeing live feeds from spontaneous protests at international airports. I am half-paralyzed with fear and hopelessness. But I’m trying to take a little bit of strength from the fact that my social media feeds are overflowing with outrage. That the people I know and love are not staying silent. That we are all speaking out. That maybe the whole of the United States of America has not lost its mind. I feel helpless. I feel tied down by my geographical location and my responsibility to two young children. But I am looking for ways to resist. If all I can do is boost the signal, I will boost the signal. This is wrong. This is not normal. 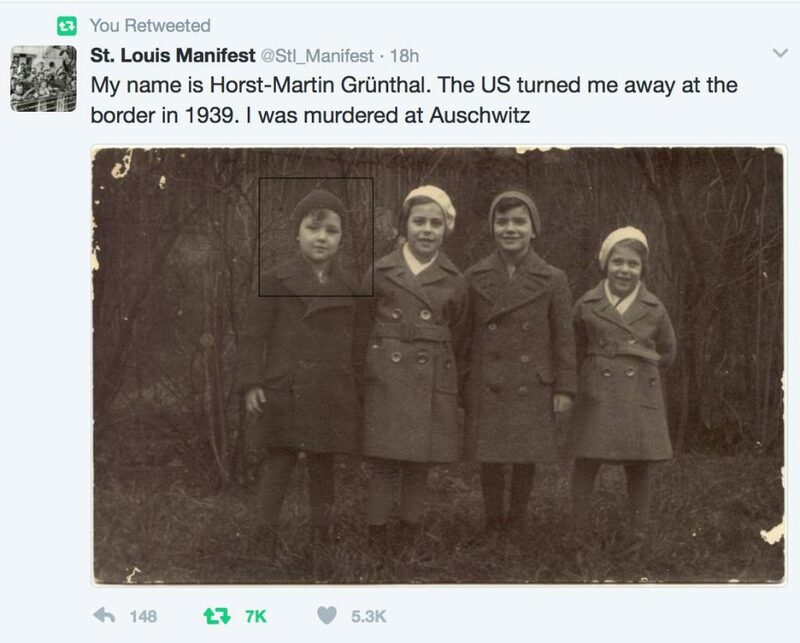 Trump must be stopped. History cannot be repeated. I can’t even believe I’m writing this. A woman’s right to make decisions about her own body was probably the very first issue that ever sparked a political thought in me. I was maybe 15 years old. Maybe younger. And now, more than 20 years later, there is still doubt over whether women should be allowed to make their own decisions. This is what happens when millions of women stand up to demand to be heard. Backlash. 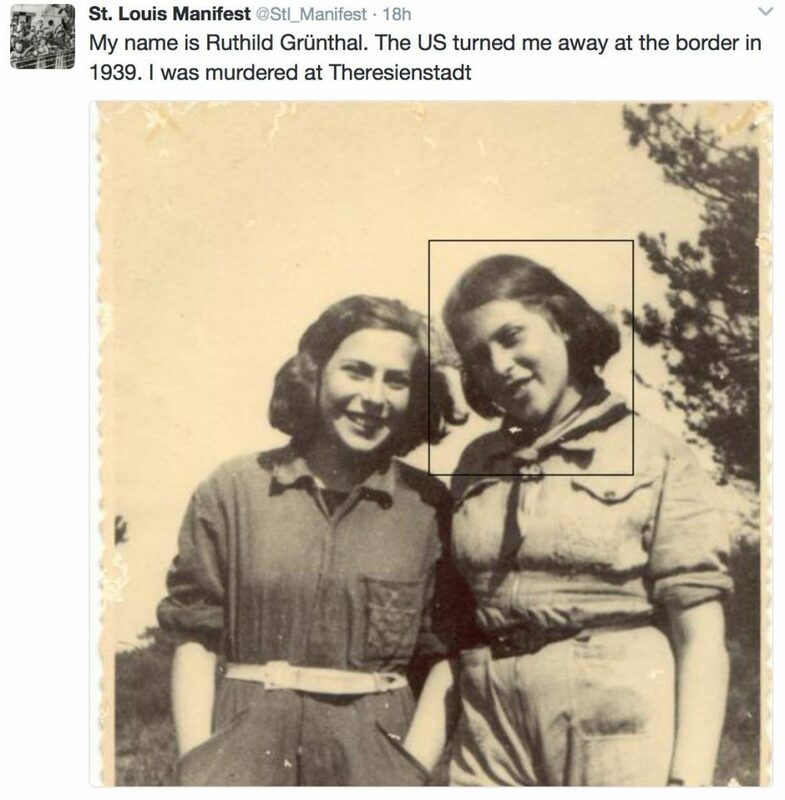 I’m not going to write a long post justifying a woman’s right to self-determination. There does not have to be any justification. There is nothing to argue: My body, my rules. Instead, I will list the places to go to fight for this right. Today the POTUS signed an executive order that reinstates the global gag rule, denying federal funds to NGOs in other countries that do so much as talk to women about abortion. Contact Sen. Jeanne Shaheen, D-NH, who has said she will introduce legislation to dismantle this policy, to voice your support: 202-224-2841. Contact your own senators to voice your opinion. Rep. Jody B. Hice, R-GA, introduced a bill that defines life as beginning at conception. Contact your own representative to voice your opinion. 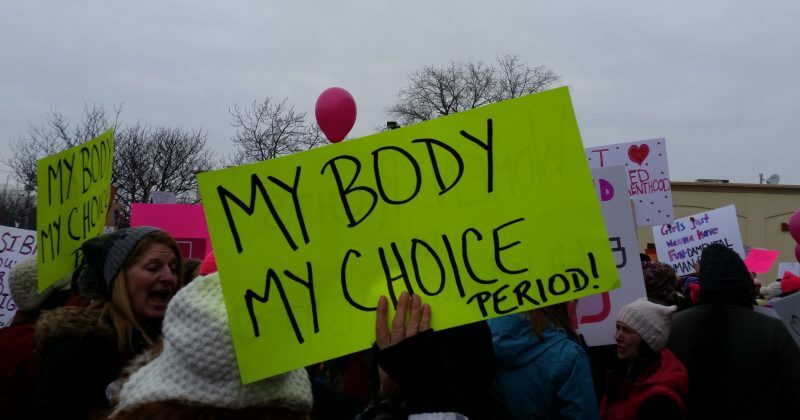 In Connecticut, not one, but three bills were introduced to limit access to abortion. If you live in Connecticut, find your state senator here. If you don’t understand why the proposed legislation is worrisome and problematic, please comment or contact me directly. If you get it, get to the phones. I read the most bizarre thing today. We started a hard copy subscription to the Sunday New York Times just before Christmas. I love having a real newspaper in the house, but I have a really hard time getting through it. Especially when the 2-year-old takes such glee in throwing it on the floor and dancing on it. I don’t know what I was expecting, but I’m pretty shaken by what I read. I started to list examples of what these women said and why I found it outrageous, but it just felt wrong to me. Like I was making fun of them, which I’m not trying to do. I’m trying to hear them, but it is so hard when what they say just doesn’t make sense. I also read an article about the Dunning-Kruger effect, and it immediately made me question my intelligence. Which is what it’s supposed to do, according to Dunning. It’s supposed to make you stop and think and question what you don’t know. And that’s what I was hoping to get out of reading these women’s explanations for why they voted the way they did. But the cognitive dissonance was too great for my ears, and I had to put it down. I had a moment today, listening to WAMC, listening to The Round Table, and one of the participants pointed out that Trump says he’s going to bring us universal health care. They immediately began to debate what that would look like, if it was even possible, but I had a moment, just one, small, fleeting moment, when I felt a spark of hope. Maybe he will, I thought. Wouldn’t that be awesome? But I realized, then, what these women found in him. For one, small, fleeting moment, they felt a spark of hope after Trump said something they wanted to hear. Whether it was about bringing back manufacturing jobs or taking care of natural-born citizens ahead of immigrants, something he said sparked hope in them, maybe for just one, small, fleeting moment. But, unlike me, they were able to hold on to that. I’m struggling today, on Martin Luther King, Jr. Day, to come up with a plan of attack for surviving the week. I admit my instinct is to hibernate, to put on a cozy sweater, brew a pot of coffee, and snuggle up with a book, ignoring the world outside. That might be the healthiest thing to do, but I don’t think it’s the right thing to do. The public schools have a holiday today, and I get a holiday from work. I have mixed feelings about this holiday. Yes, I agree completely that King deserves a holiday in his honor. Our country needs to pause every year (more than annually, but certainly not less) to remember the struggles of our own people for justice and equality. But I don’t agree with the way most of us observe the day, especially not the schools. Private schools mostly have school today, and most of them devote the day, or at least part of it, to special programming. My high school, back in the 1990s, devoted the day to learning about the teachings of MLK Jr. and talking about race. Today, many schools shy away from true discussion and instead devote the day to service. Again, I have nothing against teaching children that community service is noble, but I don’t think it’s the right use of the holiday. I had one conversation with my 6-year-old about the day, asking what she knew and explaining why I felt it was important. I had hoped to show her some video, or read a book with her, or do something more than just one conversation, but life got in the way today. I spent the day bouncing around the Internet, trying to consume important information: I read the history of the WEB Du Bois Center in Great Barrington, MA. I read a lot today about John Lewis. I picked at King’s Letter from Birmingham Jail and turned on the video of his “I Have a Dream” speech. I read post after post on Facebook of my network struggling right along with me. Searching, searching, searching for a way to make sense of where we are today, in 2017. How did we get here? I also spent time nursing a sick baby and playing games with an energetic first-grader. I cooked a pot pie. I took down the Christmas tree. I promoted the vigils I’m working on. I did laundry and dishes and still didn’t manage to get the dining room picked up. I sat down to write, hoping the act would help me sort out the jumble of my head. Usually, it does. Usually, I can count on writing to make sense of my thoughts. I want to make a pledge to write every day this week. I think my brain is going to need it, even if I don’t figure it all out by the end of the post. Maybe, at the very least, I’ll figure out a fitting way to spend my day on Friday. Pam Arifian, my colleague and Director of the Northeast Environmental Justice Center of the United Church of Christ, brought to my attention last week that People’s Climate Movement is trying to spark 100 vigils in the first 100 hours of the new administration to draw attention to the climate crisis so many of our elected officials are hoping to ignore (or, worse, deny). GreenFaith is helping interfaith groups organize a program that is nonpartisan and rooted in faith. Peaceful, faithful protest. Something clicked in my head, and I volunteered. She and I were able to pull together representatives from a number of local faith organizations, and we are putting on not one, but two vigils over inauguration weekend. The first will be Friday, Jan. 20, from 6-8 p.m. in the center of Amenia, outside Four Brothers restaurant. The second will be Sunday, Jan. 22, from 11:30 a.m. to 12:30 p.m. on the lawn of The White Hart inn in Salisbury. Follow our Facebook page or visit our website for all the details. I am really heartened by the enthusiastic response I’ve received from our faith communities. It gives me hope when a bunch of very diverse people from very different backgrounds can come together on an issue that should never have been politicized in the first place. Climate change is real, man-made, and something we can address through level-headed government policy. If you are local, please join us! The 115th Congress of the United States has been in session less than a week, and many of our basic rights are already under attack. The news about gutting the Office of Congressional Ethics, Russian interference in U.S. elections, and plans to push through unqualified Cabinet nominees is terrifying enough. But we also have to face the very real possibility that millions of people will lose access to basic health care, whether through the loss of the Affordable Care Act or through the planned defunding of Planned Parenthood. Health care in America is broken, that is no secret. Health care for women varies dramatically based on what state you live in. Roe v. Wade has been under constant attack since it was decided in 1973, and Planned Parenthood’s providers have had to take dramatic measures to ensure their safety. Coverage for men and women has varied dramatically through the years and among insurance carriers. 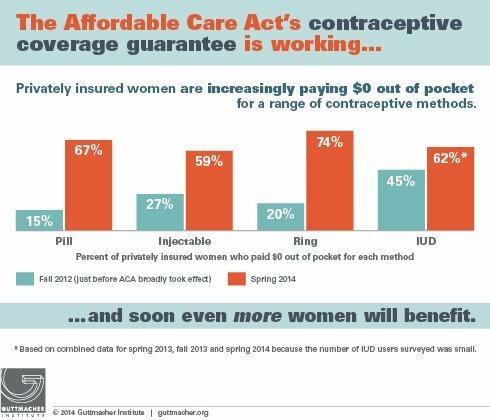 The ACA brought about universal coverage of birth control for women, but insurance companies are not required to cover any type of male birth control. And, if you work for a religious institution, it’s possible that your insurance plan might be exempt from this mandate. Despite all the loopholes and exceptions, the birth control mandate has been a hugely positive part of the ACA. Now I’m going to get personal. James and I are agreed that two children is the right number of children for our family. Our house has no more bedrooms, our cars have no more seats, our salaries can’t stretch any farther. Two is perfect for us. Before our second was born, James decided that he would like to have a vasectomy. We both agreed that we wanted a reliable, long-term, preferably permanent, birth control solution. James felt that, since I had been the one to birth the babies, and since a vasectomy is an out-patient, in-office procedure, it made sense for our family. I agreed, and supported him. Then, after looking more carefully at our schedule of benefits, James discovered that vasectomies are not covered by our insurance. We stayed in limbo for the better part of a year, knowing that our insurance provider was going to change in a few months. We were hopeful that maybe the new plan would cover vasectomies. Then Trump won the election, and everything health care related was thrown into uncertainty. I had been resistant to considering an IUD (intrauterine device), mostly because the idea of having something inserted into my uterus kinda squicked me out. Ironic, considering my uterus has played host to two foreign entities for extended periods of time, but that’s how I felt. However, with Trump awaiting inauguration and Paul Ryan heading up a rabid throng of anti-women Republicans, I felt that I no longer had the luxury of turning up my nose at an IUD just because the idea of it makes me uncomfortable. I made an appointment with my gynecologist for early December and asked for information about IUDs. I knew there were two kinds: the Mirena, which uses a low dose of hormones, and the Paragard, a copper, non-hormonal option. Based on my past experience with hormonal birth control pills, I was pretty sure I wanted the Paragard. My doctor agreed with me. I have a great doctor. He explained the differences between the two, how they work, their effectiveness, how long they last, expected side effects, how it is inserted, how it is removed. We talked for probably 30 minutes. At the end of our conversation, I felt pretty comfortable with my decision to get the Paragard. Having been through both an induced labor and an unmedicated labor, the prospect of enduring labor pains for even a minute was not exactly something I was looking forward to. I went home, James and I discussed it some more, and I decided to go for it. I called my gynecologist’s office, they got preapproval from my insurance company, and I was instructed to call back when my period starts to schedule the insertion. There are two reasons doctors like to insert IUDs during menstruation: 1. They can be sure you’re not pregnant. 2. The cervix is softer and more open at that time. I ended up with an appointment the week before Christmas. Merry Christmas to me! I joke, but the timing was actually good, as I was off work, but both children still had school or day care. With the description of the pain I could expect, I was really not sure of how chipper I’d be the rest of that day. I was not, however, able to schedule the procedure with my regular gynecologist. Instead, I was seeing the new female doctor in the practice for the first time. While I was thrilled to be seeing a female doctor (I had been skeptical of this practice’s three male doctors; turns out I love two out of three of them; not bad), I was not really happy with having the procedure done by someone I would be meeting for the first time that day. The day came. The nurse who prepped me also compared the pain to labor. She spoke very familiarly about the procedure; it turns out she had recently had an IUD placed as well. But, she said, she has never had children, so she probably had more pain that I would. It turned out not to hurt much at all. Actually, I wouldn’t even call it pain, more discomfort. The procedure has two parts: First, the doctor inserts a small rod to measure the depth of the uterus. If the uterus is shorter or longer than recommended, the device won’t sit correctly and might not work as advertised. Mine was the right depth. Yay! Then the doctor inserts the IUD. The IUD is shaped like a T, and the arms are flexible. It is folded down into a straw, inserted, and then the straw is removed and the arms unfold, and the device settles into place. No anesthetic is used, though it is recommended to take ibuprofen an hour before the procedure. No dilators are used to open the cervix. The entire procedure, from start to finish, took about 5 minutes. I had to remain lying down for another 5 minutes because “any manipulation of the cervix can lead to lightheadedness.” I did not experience that. I had some cramping the rest of the day, but was able to control that with ibuprofen. After 48 hours, the cramping was gone. I have to go back in a few weeks so the doctor can confirm that the IUD is staying in place and everything is as it should be. The greatest risk for expulsion is in the first month. This has been a very bittersweet experience. I am angry that I was forced into choosing a form of contraception that I didn’t want because of which politicians were elected to office, but I am extraordinarily grateful that this option was available to me. I am angry at the double standard that forces the woman to assume the burden of birth control, and extraordinarily grateful that my husband shares that outrage. And, I am very relieved to know that my husband and I are able to decide for ourselves what the best options are for our family. I am writing and sharing this to add a personal story to the political argument around health care and access to contraception. Our family is doing okay. We don’t have a ton of money, but we own a home in a great community, we have steady jobs, and our children are healthy and happy. All of that would be much harder, if not impossible, to maintain if we were not able to control the size of our family. We are excruciatingly aware of how easily the balance could be disrupted, and that many other families don’t have the stability we have. This is why it is so important that our government protect our access to health care and birth control. The ACA actually helps real people of a wide variety of economic means. Planned Parenthood does so much more than offer abortions. If you are in Connecticut, there will be a rally in support of Planned Parenthood at the State Capitol in Hartford on Wednesday, January 18, at 4:30 pm. Sign up here. If you can’t attend, or you aren’t local, call your elected officials and urge them to defend Planned Parenthood. And you can always make a donation. Planned Parenthood has pledged to keep its doors open even if it loses government funding, so it will need every penny we can collect.